Folkmanis 2748 - Dressed in flashy white and gray and displaying a big toothy grin, Folkmanis Mini Shark is ready to party. Measures 7” long, 4” wide, 3” tall. 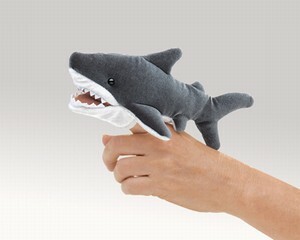 Finger puppet.